Israel is in the news again today, after a Hamas rocket destroyed a home, injuring seven, in a neighborhood north of Tel Aviv, and Hamas once again received its answer in Israeli airstrikes. But going back to the roots of the seventy-year-old conflict, there are some key facts many may not be aware of. And numerous lies and distortions are getting passed off as truth. Although it’s easy and convenient for the progressive media to blame Israel, there are many factors behind the horrible no-win situation of the inhabitants of Gaza and the West Bank. Not everyone seems to have heard that “terror kites” launched from the purportedly peaceful protests left hundreds of acres of Israeli farmland in flames last year. Or that Hamas acknowledged that the majority of those killed rushing the fence during last year’s protest were, in fact, Hamas fighters. And here’s a video where a Hamas terrorist explains how Hamas instigated the protest, including callously lying to women and children in order to get them to move closest to the fence. Here are a few more points that seem to get overlooked in the coverage. The walls that keep the Palestinian Arabs out of Egypt and Jordan are just as serious business as the barriers that keep them out of Israel. The Arab League agreed in 1952 that no Arab nation would grant citizenship to Arabs from Palestine. The purported reason was to preserve the Palestinian’s distinctive “national identity”–which is a myth, by the way. But the real reason was described by a former UN official, Sir Alexander Galloway, in April 1952: “The Arab States do not want to solve the refugee problem. They want to keep it as an open sore, as an affront to the United Nations and as a weapon against Israel. Arab leaders don’t give a damn whether the refugees live or die.” Tragically, little seems to have changed since. The boycott of Hamas that is strangling their economy isn’t solely an Israeli initiative. Egypt is also boycotting Hamas over their terrorist activities within Egypt. This article lists a number of fascinating facts about the roots of the Palestinian problem, including the fact that the international community has provided billions in aid money, with the U.S. leading and with even Israel contributing more than most (oil-rich) Arab states. However, the Palestinian Authority (now merged with recognized terrorist organization Hamas) chooses to spend that money on rockets and terror tunnels to attack Israel rather than for its intended purpose of improving their people’s quality of life. The situation in the Palestine refugee camps is indeed wrenching. But Israel is not to blame. How does the world wind up getting fed such a strident one-sided view by the mainstream press? This article from the venerable Atlantic is a long but thoughtful confessional by a veteran AP reporter. It details how and why the press corps colludes with Hamas. The AP staff in Gaza City would witness a rocket launch right beside their office, endangering reporters and other civilians nearby—and the AP wouldn’t report it. (This happened.) Hamas fighters would burst into the AP’s Gaza bureau and threaten the staff—and the AP wouldn’t report it. (This also happened.) Cameramen waiting outside Shifa Hospital in Gaza City would film the arrival of civilian casualties and then, at a signal from an official, turn off their cameras when wounded and dead fighters came in, helping Hamas maintain the illusion that only civilians were dying. (This too happened; the information comes from multiple sources with firsthand knowledge of these incidents. )… To offer another illustration, the construction of 100 apartments in a Jewish settlement is always news; the smuggling of 100 rockets into Gaza by Hamas is, with rare exceptions, not news at all. This is a slightly tangential point, but is Israel an “apartheid state” as some claim? On the contrary, Israel is the only nation in the region which extends equal rights to its minority citizens! (Try being a non-Muslim, or a Muslim woman for that matter, in Saudi Arabia or Iran.) Check out this video from Prager U for a Black South African’s perspective on this question. Many attempts have been made to define a plan to divide the holy land between Arabs and Jews. Let’s take a minute to trace the history. During the first decades of the twentieth century, Jewish people were allowed to immigrate freely into British Palestine. Some came, purchasing land legally from Arab families who were happy to sell it. But they didn’t come in great numbers. Why? Because life in Palestine was hard! The land they were able to purchase was generally undesirable. They persisted through years of toil to reclaim malarial swamps or to coax crops from arid sand. You had to be young, hardy, and a bit of a zealot for the pioneering Zionist life to appeal. Worse, as the Jewish population increased, it became the target of random violence by Arab neighbors. Episodes got more frequent, climaxing in the Arab Revolt of 1936-1939. More than three hundred Jews were murdered during the Revolt years alone. According to this proposal, the Jewish State would get the smaller area within the red lines. Jerusalem would be in an international zone governed by the British. The Jews agreed to this partition plan. But the Arabs rejected it, continuing the murderous Arab Revolt I mentioned above. The crazy-shaped blue area was Israel. Jerusalem (in gray) was, again, to be a special international zone. The Jewish State looks like indefensible Swiss cheese here! The big pointed piece at the bottom is the Negev desert–forbidding land not suitable for either agriculture or urban development at that time. Nonetheless, the Jewish negotiators agreed to this plan. The Arab negotiators did not. Please note that non-Jewish residents of Palestine were not asked to give up their homes or their civil rights, which were guaranteed. They were not asked to give up their self-determination–they never had it to begin with. Palestinian Arabs were not a distinct political or ethnic entity. They’d been ruled for centuries by the Ottomans out of Damascus (not Jerusalem), and then by the British. But those who wished to remain in the Jewish sections would need to accept Jewish leadership. That the Arab world would not submit to. Instead, Palestine plunged into a state of undeclared civil war. This began months before the partition officially took effect on May 15, 1948. Kibbutz members work their collective farm in 1947. 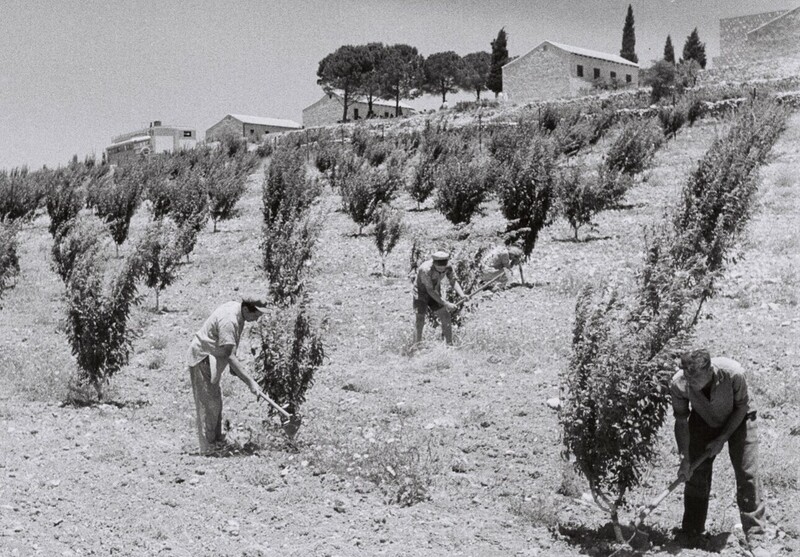 The Kfar Etzion kibbutz was destroyed by Arabs on May 14, 1948. More than a hundred Jewish defenders were slaughtered after surrendering, including approximately 20 women. Their bodies were left exposed for eighteen months before Jewish people were given access to bury them. Violence escalated. The day Israel became a nation, seven surrounding states attacked it. Heavily armored columns bore down on Jewish farming communities whose defense consisted of molotov cocktails and a motley assortment of smuggled rifles–smuggled, because they had been illegal for them to own under the British mandate. Perhaps with the addition of a light mortar or two and what little ammunition the nascent Israeli Defense Force could supply. Many Arabs fled Israel voluntarily at this time, understandably fearful to remain in a war zone. Some were, frankly, expelled at gunpoint. Once it became clear the Arabs would not support the Jewish state, the fledgling nation couldn’t afford to leave villages in place in strategic locations where they could easily harbor and support its enemies. Were there wartime atrocities? Sadly, yes. Both ways. But the narrative that makes the Jewish State out to be the bully in the neighborhood, picking fights with unarmed Arab villagers, turns the facts upside down. Israel made the Palestinians fresh offers in 2000 and 2008. Both would have given the Palestinians their own state including all of Gaza and the majority of the West Bank, with East Jerusalem as their capital. Yasser Arafat turned down the first deal (which Bill Clinton helped broker) and Mahmoud Abbas the second. Many Holocaust victims were still behind barbed wire five years later! If you listen to the popular press, you’re encouraged to form a picture in which a ruthless and well-armed Jewish war machine evicted unarmed Arab peasants from their villages. In fact, the nation of Israel came into being as an act of compassion toward one of the most brutally persecuted minorities ever—European Jewry, still reeling from the savage genocide suffered under Hitler. Seventy-four years ago, the world was shocked and horrified as the extent of the Holocaust extermination machine was unveiled. Six million Jews, half of Europe’s Jewish population and a third of the world’s, slaughtered in less than five brutal years. Along with five million others—priests and pastors, gypsies, Jehovah’s Witnesses, communists, anarchists, Poles and other Slavic peoples, not to mention resistance fighters. 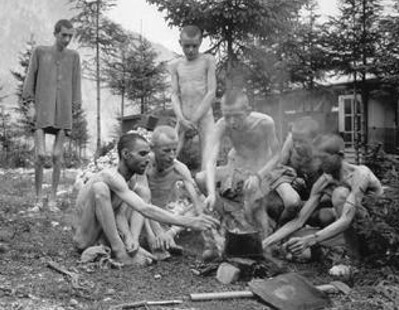 When the Allied armies liberated the concentration camps in 1945, I always believed that the captives were quickly nursed back to health and freed. But in researching a future novel, I’ve learned that picture is heartbreakingly inaccurate. The war left 250,000 Jewish displaced persons interned around Europe—many of them still confined in overcrowded conditions on the grounds of the camps in which they’d endured so much. Holocaust survivors liberated from the Mauthausen camp in Austria. Many Holocaust victims were still living behind barbed wire in those camps five years later. They didn’t want to—or couldn’t—return to their former homes where they’d faced so much persecution. How and where to resettle them became a humanitarian crisis of global proportion. The majority of them stated they had a single dream: to “make aliyah” or immigrate to their own land, in what was then Mandatory British Palestine. Apparently the Lord has no issue with recognizing Jerusalem… as the seat of His soon-coming King! For more on Israel’s place in end-time prophecy, please see this post: Israel’s Birth: Two Truths and a Lie. The refugees in Gaza may repeat a narrative about “right of return” to their villages, but make no mistake: at the end of the day the raging in Gaza is about Jerusalem and her glorious prophetic destiny. “As in the days of Noah” (Luke 17:26, Gen 6:11), the earth today is filled with violence–חָמָ֗ס– and again the word used in these Hebrew passages is Hamas! I have read Son of Hamas’ book and listened to his videos. So so good! 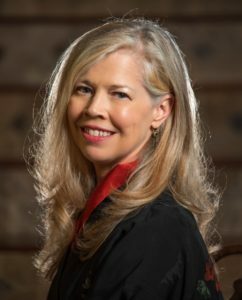 Great article as always, Linda!